After walking around for a couple of hours at the Lunar New Year Festival in Monterey Park a while back, a friend and I were trying to decide where to go for dinner. However, since it was still quite early, probably around 4pm or so, my friend suggested maybe dessert first before dinner. 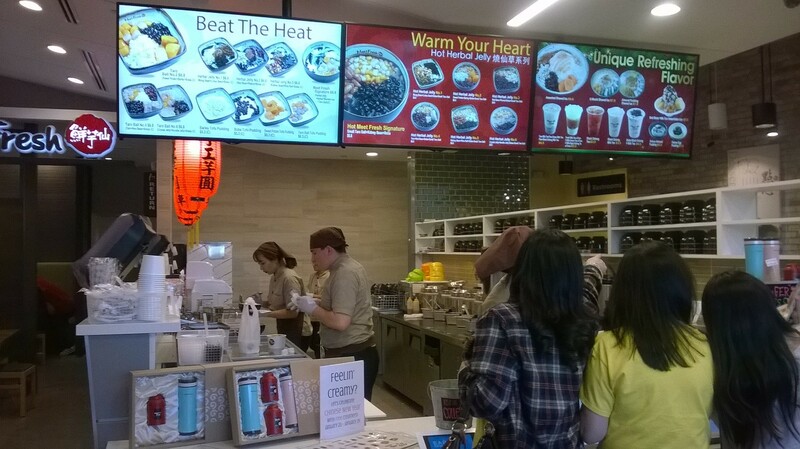 She mentioned that there is this really popular place in Temple City, and that there is usually a long line of people waiting. Being it was still early in the day, we figured that the line might not be as long. So we decided to head over to check out the place. 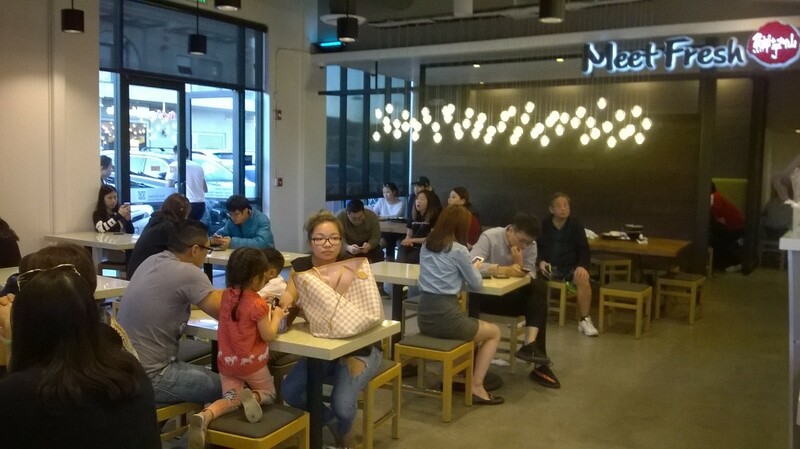 This eatery is located in a fairly new strip mall at the corner of Las Tunas and Rosemead Blvd. 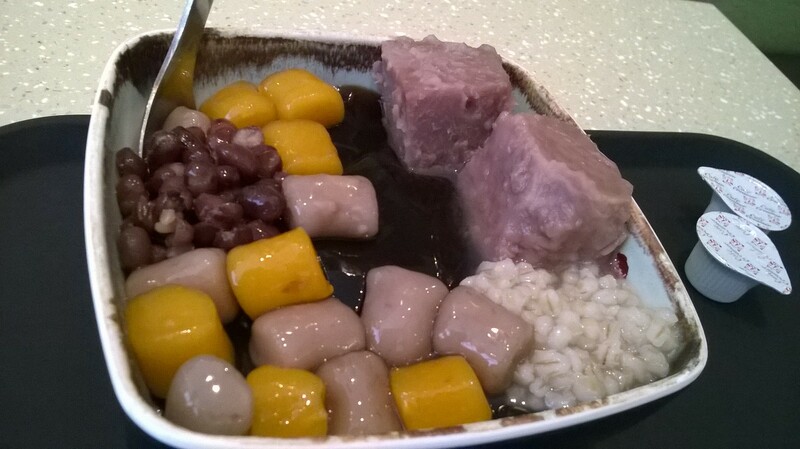 The dessert revolves around Taro Balls, Herbal Jelly, Shaved Ice, Tofu Pudding, and Teas. After trying to decipher the menu on the wall, we decided to share one order since it was quite big of a bowl. It was Herbal Jelly with kidney beans, rice balls, boba. It took a long, long time before it was finally ready. I did enjoy what we had ordered, though. Everything tasted fresh and most importantly, the items were not that sweet. Subsequently, I had gone back one more time a week or so later. I made a special order that was not on the menu. I ordered the Taro ball with taro, barley, beans, and rice balls. For some reason, there was shaved ice at the bottom. It was quite huge, and tasted even better than the one last time. It was not cheap, more than $9 for that bowl. I do really like this type of dessert, I like the chewiest of the rice balls, taro balls, and slightly bitter taste of the grass jelly. I just wish that it was not so expensive.